The Camp JCC member rates listed below are discounted 25%! CLICK HERE to request our membership rates. 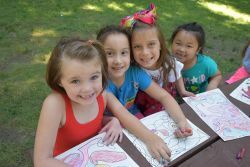 *Weekly discounts are only applicable to day camp weeks. They will not apply to specialty and advanced specialty camp weeks, or a combination of day camp and specialty camp weeks. Pricing for specialty and advanced specialty camps will remain as advertised below.